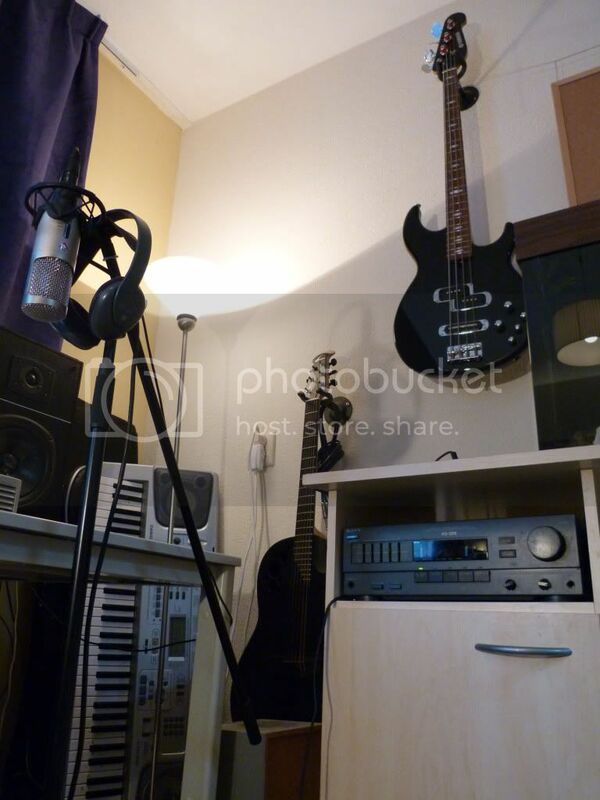 When you're new to recording music, it can be hard to find out what gear you need to set up a home studio. Maybe a mixing panel? Maybe a midi interface? Well it all depends on what it is that you want to record. Most important is that you learn you're basic theory. Without that, it's hard to record anything that's in tune. So we got our first prerequisite for recording any music. Learn some music theory. Jazzguitar.be is good for a start, even for those who don't play the guitar. But as they say: google is your best friend! Next up. You need to be able to run the software. You might've already known; I'm a big fan of Cubase. I would advice at least a dual core system in order to run the program plus the needed VST plugins, and run them stable. A home made hamburger is also very... very.. important. Now you need to get the sound on to the computer. To use the line-in on your mobo's soundcard isn't a wise idea. These cards can have a significant latency, and that's something you don't want. So we get a USB Interface. Choose an interface that has the specific inputs for your needs. A guitar plug? The Alesis IO2 is a cheap option. It features two channels and you can either plug in a studio mic or a 1/4" guitar jack. If you are all about the guitars I would recommend a Line 6 POD, this one has some build in amplifier options so you can get a nice guitar sound. I myself went for the Creative E-MU 0404. A very solid USB Interface. It's fast, high quality and has the 48V condenser mic inputs as well as a midi in/out. Separate outputs for either passive/active speakers or monitors and the headphones. If you want to record voices/ acoustic guitar or any other kind of non-amplified instrument you'll need a condenser mic. It's kinda different from a dynamic mic, which is often use for live performances. 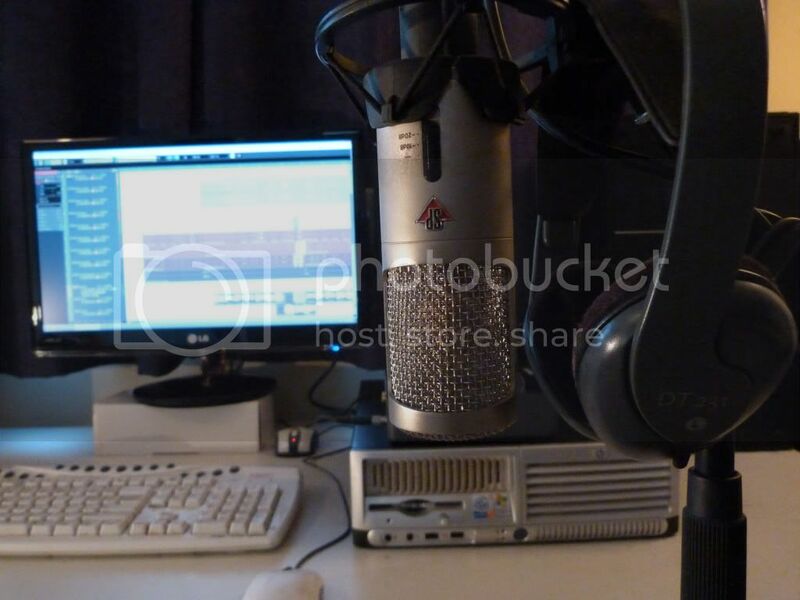 A condenser mic is very sensitive and will record the smallest sounds in the whole room. I recommend one from Studio Projects, which offers great quality for the price. We got the instruments that you are playing, the input to the computer, the computer system itself. Now what more do we need? Cubase! Get it, learn it, ask me questions I don't mind. It's THE program to do some PRO editing. And that's enough about that. Last of all a MIDI keyboard is very recommended. Learn some keyboard. There are a wide variety of software synthesizers (VST Synths) available, and it will help you to make whole songs with everything on it. A drum pad is nice, a electric drum set even nicer, but you'll manage with the midi keyboard. Well for anyone who's planning on getting that home studio, I hope this guide will get you on your way. If any questions: feel free to post in the comment section. Every post, ever posted. Tap off the dust and take a look! I remember wanting to put together a band with a bunch of friends a good few years ago, so I already have some things in this list. It's a shame though, this would have been really handy back then. It's a lot more in depth than the other crap I'd read to put it all together. I'll spread this around though, I know some friends still trying to do all that. Home made burgers actually take the noises you make and convert them into delicious, beefy energy. Who could finnish anything without a home made burger!!!! And, as Bremsy said, awesome setup man. 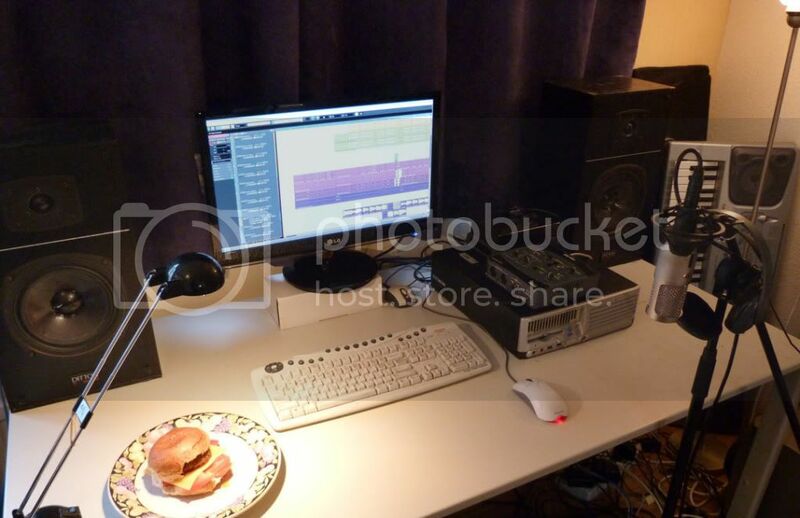 Even though I have no musical talent, your post has made me realise how I could set up a basic studio in my room. My home studio pretty much looks like that! That looks ... like a lot of dough! And I don't mean the one above and below the burger. Excellent write up very intriguing. I love the idea! We're caught up in bathroom remodeling nyc at home though, so this would have to wait. Hi, I use alesis io2 (usb interface) and the correct cables (XLR - jack) to the alesis io2 with my studio monitors krk rokit 5 and I still have that nasty sounding noise. What should I do?